The Circular Design (L4IDS- Learning for Innovative Design for Sustainability) project was conceived by members of the EESD network following a three-year application and development stage to secure funding under the European Union Erasmus + Knowledge Alliance scheme. The Partners include four academic institutions, four design led SMEs and four national or regional design representative bodies fromCatalonia, Sweden, Netherlands and Ireland. The goal of this Circular Design project is to support the development of skills necessary to promote sustainable production and consumption of products and services in Europe. The project falls within the Innovation, Higher Education and Business area and is aligned with European policies on the Circular Economy. Design has a key role to play in developing innovative solutions to current local and global challenges – approaches that must consider the needs of end users and integrate sustainability criteria in processes and strategies for creating products and services. De Eyto, A., Segalas, J., McMahon, M., Bakirlioglu, Y., Tejedor, G., Lazzarini, B., Crul, M., Joore, P., O’Donnell, P., O’Riain, M., Jimenez, A., Albiols, A., Wever, R., Velander-Gisslen, A., Blackmore, E., Haberman, K., Martins, J. Circular Design - adventures in interdisciplinary collaboration and learning for a circular economy. A: International Conference on Engineering Education in Sustainable Development. 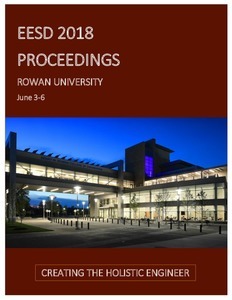 "EESD 2018: 9th International Conference on Engineering Education for Sustainable Development: Glassboro, New Jersey: June 3-6, 2018: proceedings". 2018, p. 92-100.